Willen Sin is a student at Oregon State. He is majoring in Marketing and minoring in Asian studies. 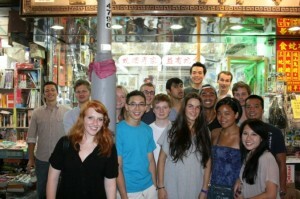 During fall term 2012, Willen studied abroad in Hong Kong, China through OSU: College of Business: Hong Kong, City University. When I was in third grade, my dad was relocated to Singapore for two and a half years. He brought the whole family with him. My father was a huge fan of traveling, so each break we would take family trips around Asia. 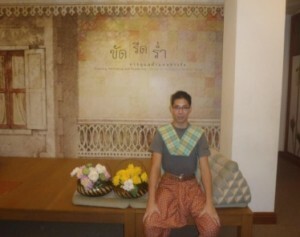 We went to Beijing, Shanghai, Hong Kong, Thailand, India, and Malaysia. Out of those places, I had a distant memory of Hong Kong. This memory motivated me to go back and relive Hong Kong as a young adult and remember this experience for years to come. I also wanted to improve my language skills. As a marketing and international business major, I wanted to be in an environment where I can strengthen my Cantonese and Mandarin speaking skills. It is really hard to master a language unless you are in the environment 24/7 and are forced to use it. Little did I know, when I got there, I would gain valuable wisdom that I could have never imagined. Students have a different attitude when they are abroad. Everyone is open to meeting new people. Everyone is friendly, sincere, and genuinely interested in getting to know who you are and what your story is. Due to the fact that the majority of the students are going to this new country blind in terms of what to expect, there is an instant connection that you make as you’re able to lean on one another for guidance. During the first few weeks, you establish friendships that go a long way. Many exchange students talk about meeting new people as one of the many advantages of going abroad, but for me, it is more than just meeting these people. The experience is about establishing relationships with the people you meet and broadening your network across the globe. Being in Hong Kong allowed me to meet people from The Netherlands, Norway, Germany, Australia, India, Canada, and other countries. Now if I am ever in want of these places, I will have a network of people that I can reach out to for assistance. Trust me; this makes your budget a lot more flexible. Even if it is expensive, one thing you cannot miss out on while abroad is the ability to travel. 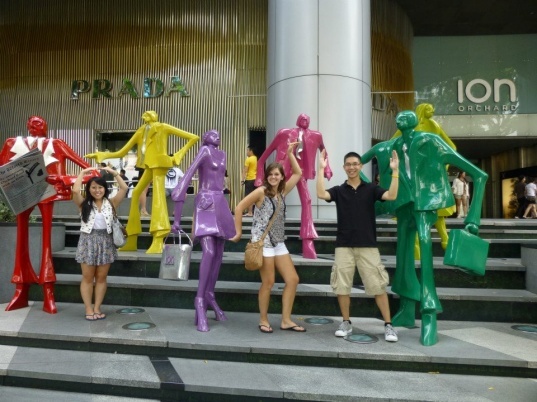 When I was in Hong Kong, I spent a lot of my time exploring different countries and new cultures. I was fortunate enough to go to Macau, Thailand, Singapore, Philippines, China, and Taiwan. Each had its own individual culture and story to it. Obviously traveling can be fun, but one valuable lesson I learned was how large this world is and how small I am. There is so much going on around this world at one time; it is hard to learn and know everything. The best you can do is try to engage, be aware, and do not be afraid to try new things. Trying new things was a huge motto going into Hong Kong fo r the entire exchange group. One gruesome and exciting story that comes to mind is when a group of us decided to try snake. 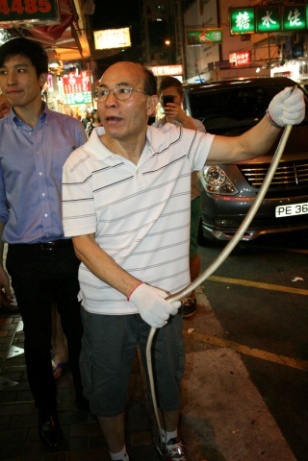 Coming from all different countries, snakes was one of the animals many cultures do not eat. . The shop had a few options: snake soup, snake wine, or snake blood with a twist. To no one’s surprise, a majority of the group stuck with the snake soup, but there was one brave student that was all for the snake blood. The twist was that you had to drink the blood fresh from the snake. You can see the commotion brought quite the crowd from the streets of Hong Kong as pedestrians, students, and families all watched this amazing, yet face-quenching scene. I will end with that. You will hear this from everyone, but going abroad is one of the best times you will have in your life. From the places you go, the people you meet, the things you learn, and the stories you will share, studying abroad is a great investment in your education and your future. Posted in College of Business, College of Liberal Arts, study abroad.